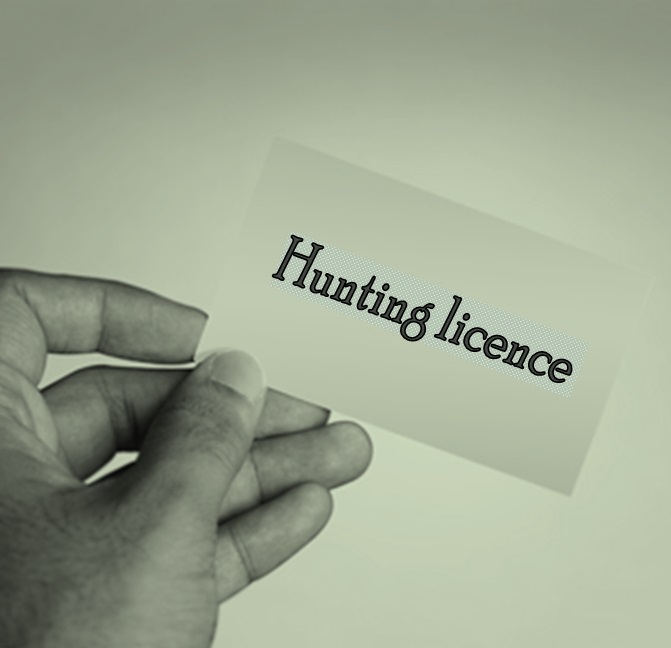 Applications for Deer Hunting Licences (DHLs) are now open. Applications, accompanied by the necessary permissions, should be submitted not later than 30th June 2018. Applications received after that date are unlikely to be granted and issued in time for the Opening of the Season on 1st September 2018. For details and to download 2018/2019 Deer Hunting Circular, Application Form, Guidance Note and Landowner Permission Form, click on the link below. This entry was posted in Uncategorized on April 27, 2018 by Liam Nolan. 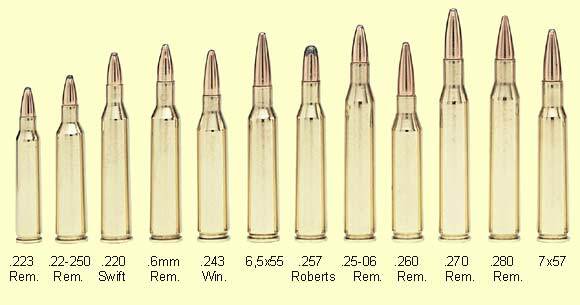 The .223 Rem. illustrated above is available in bullet weights ranging from 55 to 77 grains and muzzle energy levels ranging from 1282 to 1333 foot-pounds.The .220 Swift illustrated above is available in a 55 grain bullet delivering 1800 foot-pounds of energy at the muzzle. The following recommendation has been proposed for adoption by the Irish Deer Management Forum and submission to the Minister for Culture, Heritage and the Gaeltacht by L. M. Nolan, Deer Alliance. RECOMMENDED that the minimum calibre of firearm for the purposes of hunting wild deer under the provisions of the Wildlife Act 1976 (as amended) be defined as calibre .240 inches with a bullet weight of 100 grains and a muzzle energy of 2100 foot-pounds and that any necessary legislative steps be taken to give effect to this recommendation as soon as practicable but not later than 1st September 2019. Following commencement of the Wildlife Act 1976 in 1977, Statutory Instrument No. 239/1977 Wildlife Act, 1976 (Firearms and Ammunition) Regulations, 1977 was published, providing that centre-fire rifles of not less than .22 calibre with a muzzle energy of not less than 1700 foot-pounds, and any bullet for use in such rifles, weighing not less than 55 grains, be the minimum legal calibre for purposes of hunting deer under the provisions of the Wildlife Act. The effect of this provision was to permit the use of the calibre .22-250 (typically using a 55 grain bullet) or the 5.6 x 57 m. m. (using a 74 grain bullet). A number of considerations arise. The first consideration is that the internationally-accepted standard for the species of deer found in Ireland is a bullet weight of 100 grains and a muzzle energy of 2100 foot-pounds. The second consideration is that until 1972, deer hunters had access to suitable firearms of an appropriate calibre. However, publication of S.I. No. 187/1972 – Firearms (Temporary Custody) Order, 1972 provided that persons holding rifled firearms of a calibre exceeding .22 inches and ammunition therefor were obliged to surrender such firearms to the Garda Siochana not later than 5th August 1972. That Order was to remain in force for just one month from 2nd August 1972. The Order was never extended or amended but it became custom and practice of Superintendents of the Garda Siochana, as a matter of course, to refuse to grant firearms certificates for rifles of a calibre greater than .22 of an inch. That remained the case for a period of twenty-one years, until 1993, when an Application was made to the High Court sitting in Cork for Judicial Review of Ministerial policy by a person seeking a certificate for a firearm of a calibre more appropriate for deer hunting, specifically, calibre .270. The then Minister immediately took steps to bring about a review of policy and judicial review of Ministerial policy became moot. Subsequently, firearms certificates for calibres ranging from .243 to .308 were, and continue to be, routinely granted. The Garda Commissioner’s Guidelines as to the Practical Application and Operation of the Firearms Acts, 1925-2009, issued in accordance with section 3A of The Firearms Act, 1925 as inserted by section 31 of the Criminal Justice Act, 2006, now governs the practical application of firearms legislation. 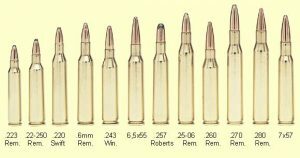 Firearms of a calibre greater than .308 of an inch are described as “Restricted”, as are all handguns of any calibre (excluding certain handguns used for competitive target shooting). No firearms are prohibited as such, merely “restricted” and subject to special application procedures and considerations. The result of the revised policy since 1993 is that the clear majority of licensed deer hunters now use rifles of an appropriate calibre, i.e. calibre .243, 6.5 x 55 m. m., .270, .308 and numerous variations within that range. Unfortunately, a number of hunters continue to use the .22-250 including with use of a bullet having a muzzle energy of less than 1700 foot-pounds. The third consideration is that in the immediate wake of publication of SI 239/1977 (providing for a muzzle energy of 1700 foot-pounds of energy for use on deer), it became evident that various manufacturers of .22-250 ammunition produced, and still produce, bullets delivering less than 1700 foot-pounds of energy at the muzzle. Following an exhaustive review of ballistics information available internationally, it would appear that no .22-250 ammunition currently available in Ireland delivers the legal minimum of 1700 foot-pounds of energy. Most manufacturers’ ballistics data indicate delivery of as low as 1540 foot-pounds, with an average of 1654 foot-pounds with a 55 grain bullet. The effect of this is to put users of the .22-250 outside the legal parameters for use of a firearms within the provisions of the law. In short, the existing legislation not only permits use of firearms internationally regarded as inadequate for hunting species of deer found in Ireland, it makes criminals of those users of the .22-250 for hunting deer. For the record, the framer of the recommendation herein was consulted in 1977, after publication of SI 239/1977, in his then capacity of Chairman of the National Rifle & Pistol Association of Ireland, by a named Department official (the Department of Fisheries & Forestry having responsibility for implantation of the Wildlife Act 1976 at that time). It was made clear to said official that SI 239/1977 was defective on its face. It was intended by the Authorities at that time to correct the situation but this never happened and consequently, SI 239/1977 remains defective insofar as it criminalises most users of the .22-250 while at the same time enshrines use of a calibre widely regarded as totally inappropriate and inadequate in most situations. Notably, although guidance to the Application Form for a licence to hunt deer issued by the National Parks & Wildlife Service states that “a .22 calibre with a muzzle energy of not less than 1700 foot-pounds is the legal minimum requirement”, it also states that “a rifle with a minimum calibre of .240 as a more appropriate firearm for shooting deer is recommended”. For all of the foregoing reasons, this Recommendation is commended for adoption by the Irish Deer Management Forum, for onward delivery to the Minister for Culture, Heritage and the Gaeltacht and for implementation by the Minister at an early date. This entry was posted in Uncategorized on April 7, 2018 by Liam Nolan.